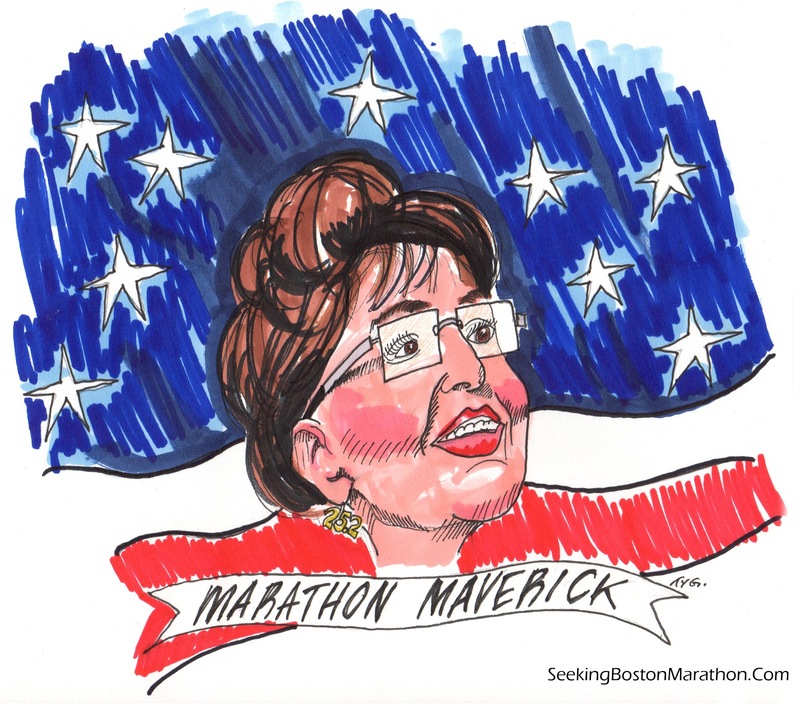 SeekingBostonMarathon caught up with former vice-presidential candidate Sarah Palin for a sneak preview of her new book on fitness. 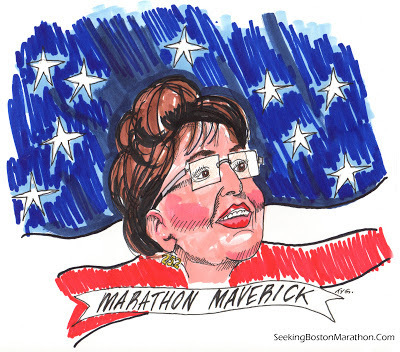 Not to be outdone by Paul Ryan (who claimed to have run a two something marathon himself,) Sarah reportedly will have a chapter on marathon training. I caught up with Sarah while in Chicago and met for our interview at the Girl & the Goat restaurant on Randolph Street. She was 20 minutes late, and arrived with shopping bags in her black velour Juicy Couture sweatsuit. I ordered a glass of Pinot Noir. She ordered a Jack Daniels and Diet Coke. SBM: Nice to meet you Sarah. SP: You betcha! Thanks for waiting for me. That traffic was crazier than elk during mating season. SBM: No problem. I imagine times are busy for you with the election going on, Bristol back on "Dancing with the Stars" and writing a book on fitness. I'd like to hear more about it. I understand there's a chapter on marathon training? SBM: That's ironic. 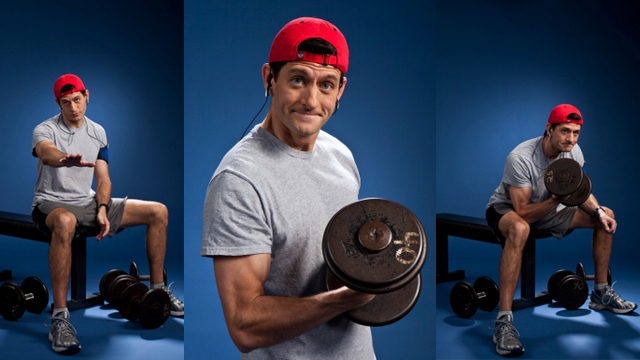 Paul Ryan is a marathon runner. What do you think of Paul Ryan as a candidate and as a runner? SP: He's quite the fella, I tell ya. That smile and those big muscles of his...ya know he's a hunter too. He can run 25.2 miles in a marathon and go out that weekend and catch himself some dinner. He's got my vote! SBM: 25.2?...uh...let's move on. What training routines do you recommend, Yasso's, Fartlek intervals? SP: Well yahoo to you too there skinny fella! Ya know after a couple of kiddo's it's kinda tough not to let out a little air once in a while when you're out there exerting yourself and all. What was the question? SBM: Ooookay. Who do you look up to...who's your role model; Shalene Flanagan, Kara Goucher? SP: I loooove Kara. She's such a spunky little thing. I was so glad she finally got the Oscar for "The Blind Side" after Jesse two-timed her with that two bit tattoo'ed hussy. Now there's some "what goes around come back around" for ya! SBM: Okay, how about post race, do you have any tools you rely on; "The Stick," or a foam roller? SP: With this hair honey, I stick with my trusty blow dryer. My mother used rollers. SBM: During a run, do you prefer goo or do you prefer "Shot Bloks?" SP: Sure, I'll take a shot, make mine a "Jack." SBM: Alright..waiter...could you give Ms. Palin another? Sarah, what's your next race? SP: I'll race ya with the next round of Jacks if you set aside that frilly glass of grape juice. You might gain a little weight and get some hair on your chest if ya drank a man's drink. SP: Paul's running the race. Ole Mitt couldn't quite keep up with this marathon "maverick!" SBM: (As the next round of drinks arrive.) Wonderful. Okay "Cannonball!," last one done with this round buys dinner.